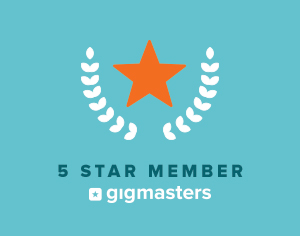 Thereafter we signed our band up with Gigmasters as are booking agent where we have maintained a 5 star rating since starting the band. We are all energetic, experienced musicians and play a variety of music in addition to Oktoberfest Music. We all have professional career outside of music. Sharie (Keys, Bass and Vocals) is a Registered Nurse, Richard (Guitar and Vocals) is Retired Sheet Metal Mechanic, Joannie (Drums and Vocals) works with Children, and Johnny (Clarinet and Sax) sets up conventions. Veterans Organizations are our primary charity and each year we donate our time at the El Paso American Legion and other local organizations near our homes We play a special musical medley to Veterans, Active Duty, and their families at our shows. Each of our players are Blessed to know Jesus in our hearts as our Lord and Savior. It is important to have good, honest fun that enriches our lives and those of our audiences.